The Old Coach House01263 715779work01603 870304fax Self-cateringThe Old Coach House, formerly a 17th Century coach house restored with original features, is situated in Snettisham in West Norfolk with the beach less than three miles away and Hunstanton with its many attractions just a short drive away. There are several nature reserves nearby and the area is good for walking, cycling and days out exploring the lovely coastal villages. The Old Coach House on a sunny Norfolk afternoon. 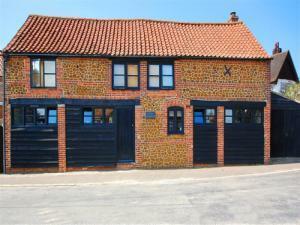 The Old Coach House, formerly a 17th Century coach house restored with original features, is situated in Snettisham in West Norfolk with the beach less than three miles away and Hunstanton with its many attractions just a short drive away. There are several nature reserves nearby and the area is good for walking, cycling and days out exploring the lovely coastal villages.